Steve is the co-owner of the Adirondack Beef Company with his wife Michele. Steve has been in the Livestock/Meat business most of his life and oversees the day to day operations of the farm. Livestock, crops and sales are his specialty. Michele is the co-owner of Adirondack Beef Company with her husband Steve. Michele is on A-team sales and does our marketing and computer work including the website. She is Sue's twin sister. 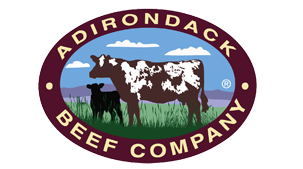 I am the proud second generation of the Adirondack Beef Company. I am a current senior at Cornell University studying agriculture. I will return home to the farm this spring. I am also in the process of buying my own farm two miles from my parents farm in Croghan, NY. This farm has 1/2 mile of riverfront which I plan to incorporate into our agro-tourism aspect of the farm in the future. I maintain our cropping equipment, manage our facilities and help operate our website and Facebook page. I also own my own custom soil sampling business. Thanks for visiting our site, we love what we do! Camille is a current Freshman at Cornell University studying Animal Science, she is fantastic asset to the farm in regards to animal health and welfare. She hopes to follow her passion to Veterinarian school. Sue is Michele's twin sister and is part of the A-Team for sales with Michele, sometimes she's on the B-Team when Steve does the market too. Sue handles our Facebook account and does sales for us. Sue is a vital part of our farm team!